This is the third album from the No Age duo (Randy Randall on guitar and Dean Allen Spunt on drums) who are embedded in the LA scene around a club called The Smell with Straight Edge principles somewhat like the Washington DC scene of Fugazi and others. There’s a weight of expectation on any new indie rock band, especially one signed to Sub Pop, and it seems really unfortunate that the genre, fuelled by the music industry, has developed into only two categories – world-beaters and losers. This album puts No Age in neither category which I hope will not prove difficult for them since they are clearly talented and deserve the chance to develop into, maybe, world beaters but at least to see how far they can go. The songs take various influences and elements, and weld them into generally catchy tunes layered over guitar noise, loops and synthesized sounds plus drums, of course. So you can hear traces of Sonic Youth (for example on 'Common Heat') and some songs, like opener 'Life Prowler' and lead single 'Glitter' are even Pavement-esque. Perhaps not surprising as No Age supported Pavement recently on their USA comeback. Less successful are the two tracks that recall the band’s skater-punk roots ('Fever Dreaming' and 'Shed And Transcend'). The three instrumental tracks that also appear are, in truth, not all that interesting. 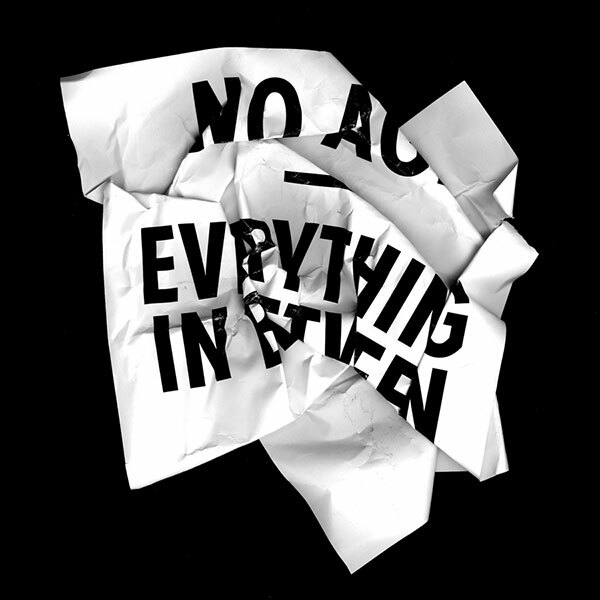 'Everything In Between' an album of contrasts and a promising statement of more to come, but there’s the rub. Given time I am sure No Age will continue to refine their sound and realise their distinctive voice. Just now they’re in a crowded place where it’s hard to flourish – witness the excellent, highly original (and world-beating) Comets On Fire and their experience with the same Sub Pop label. So it’s ironic that Swans – a band with a similar approach to crafting songs - have just released an album that shows the fruits of having time and space. 'My Father Will Guide Me Up A Rope To The Sky', released 28 years after the band first formed and following a hiatus of 13 years, is a terrific statement of a singular and brilliantly articulated vision. It’s a truly great album – and the sort of album that No Age should certainly aspire to create. For now, with 'Everything In Between' they have laid down a perfectly solid foundation that is enjoyable in its own right. Stream the album on the Sub Pop Soundcloud page. Buy links below.